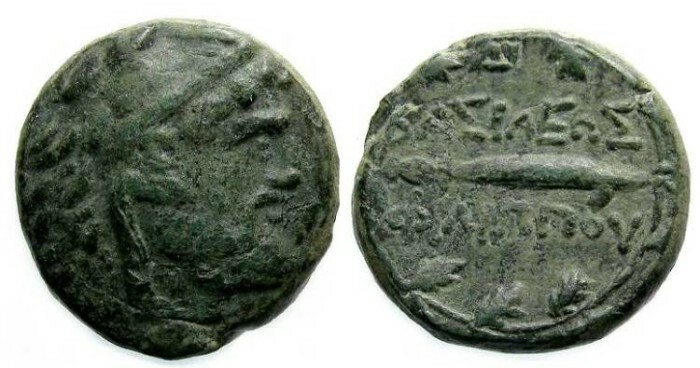 Macedonian Kingdom, Philip V, 221 to 174 BC. AE 19. Denomination : 19 mm bronze. Size : 19.2 x 20.2 mm. Weight : 8.13 grams. Grade : VF with an even mid green patination. Obverse : Head of Herakles right, wearing the lion's skin headdress. Reverse : Harpa with BASILIWS FILIPPOU above and below.